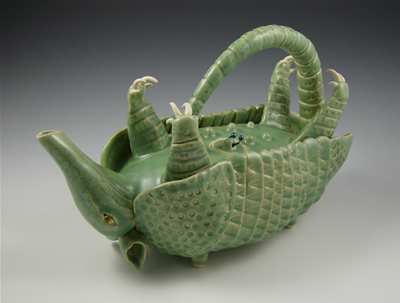 "Imperial Armadillo Teapot" made it into Cedar Creek Gallery's 7th Triennial National Teapot Show, in Creedmoor, North Carolina. The exhibition runs from June 6 to September 7, 2008. This very unique, handbuilt teapot is for sale for some lucky collector!